As citizens and residents, we are automatic customers to government services. We all rely on various agencies to deliver necessary services ranging from emergency response to residential permits. From being able to purchase a fishing license easily on a mobile device to being able to renew a much-needed passport within a day, it is those standout customer service experiences that enable us to power through everyday tasks and challenges. Policies such as the Executive Order 13571 – Streamlining Service Delivery and Improving Customer Service in the US and Customer Service Excellence standard in the UK serve as strong reminders that governments are in the business of providing pleasant and efficient customer service to the public. These examples also highlight the growing emphasis on integrating new technologies and refreshing dated business processes to enhance service delivery. With the growth of the web, social media and technologies, providing seamless, consistent, and responsive customer service requires multiple channels of engagement. 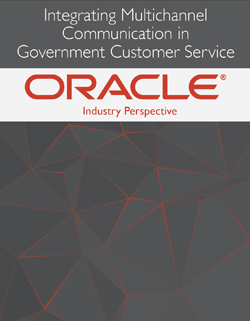 The GovLoop and Oracle report elaborates on how government agencies can integrate multichannel communication to improve customer service. We’re living in world loaded with vast information and new technology, so agencies may be daunted with the heavy task of developing a holistic, integrative, multichannel service program. Putting together the various pieces of social media, mobility, and other channels is no easy task. The report outlines five great starting points for government organizations begin framing a customer service strategy that works for their particular mission. The first starting point is to understand your agency’s customer touch points – key moments to engage with citizens in providing services. As elaborated by Scott Frendt of Oracle, “the complexity [of service], choice and cost dictate how you provide compelling customer service experiences. So the customer touch points are key, in addition to finding out where the moments are.” Thus, knowing the customer and how they need to interact with a public service is essential preliminary work. Take a look at the full report to read about the other 4 next steps for building a successful cross-channel customer service experience. 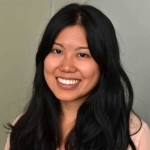 Case examples detailed in the report show how entities such as Montgomery County and the New York State DMV have employed integrated communications processes powered by key technology. I encourage you to download the report to see how streamlining business processes coupled with systems modernization can result in high citizen satisfaction, reduced costs, and increased agency efficiency. Oracle offers an optimized and fully integrated stack of business hardware and software systems that helps organizations overcome complexity and unleash innovation. Check out their Optimize with Oracle group on GovLoop.